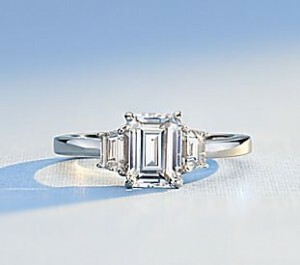 Offering the girl of your life an engagement ring means you want to marry her and spend the rest of your life together. Getting engaged is also a sensitive matter given the number of expectations and rituals surrounding this matter. 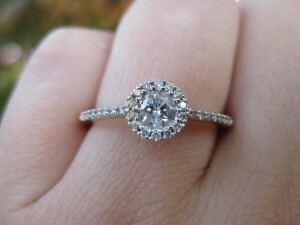 Learn the many different aspects of engagement rings to help you make the right decision for your situation. With countless of options for a proposal ring, it’s important to keep in mind the factors in choosing a ring. Ask yourself what type of ring you should get and what style of ring best portrays your relationship as lovers. 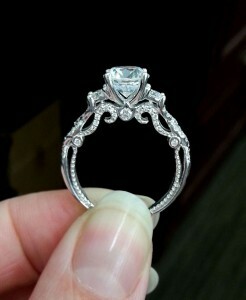 As for the style, pick something that your soon-to-be-fiancé would love, and not something you want her to wear. For example, if your sweetheart isn’t a fan of elaborate accessories, don’t get her an ostentatious ring she’ll be reluctant to wear. Instead, buy her something that would suit her personality and choice of style. In Singapore, Ling Jewellery creates beautiful rings that many women love. It’s important to keep in mind that when giving gifts, think of something that the person would want to have. Presenting a ring on the event of proposal is not really required. Many Singapore couples get engaged first and then shop together so the woman can pick her own ring. Others get carried away with spontaneous proposals long before an engagement ring is purchased. Also, there’s the option of skipping the engagement stage altogether so you’ll only have to shop for a wedding ring. Although presenting a proposal ring has always been a part of tradition, it’s certainly not totally necessary. Traditionally, the groom pays for the ring. However, many Singapore couples today decide to split the ring expenses, especially those who were engaged first and decide to purchase the ring later on. To know how to treat this situation, consider your fiancé’s personality as some modern women would still expect the man to pay for the ring. For more romantic women, it’s likely that she expects that her man will carry out the tradition. For couples who decide to share the engagement and wedding ring expenses, the budgeting and planning process can be an opportunity to know each other’s economic point of view long before the matrimony, which can be a good start in forming a basis for healthier financial future. Although traditional styles of engagement and wedding rings are set with diamonds, modern ring choices are set with wider selections of gemstones. A ring’s traditional appearance can still be maintained by using a diamond as a center stone surrounded or accentuated with selections of gems. Another option to consider is making use of colored center stone surrounded with smaller diamonds. The most important thing you should always remember is the style and preferences of your fiancé when choosing a stone for the engagement ring.